Lelands Industries is a Grandview, TX-based company that’s known for handcrafted custom sheds, barns, and storages. Lelands cares about quality and builds barns and sheds to last. At Lelands, it’s about quality, warranty, and customization. Offering handcrafted products made out of the finest materials available, but it’s the culture Lelands has built around pride in combining beauty and functionality in everything produced to ensure an outstanding end product. Choosing a digital signage system followed these same principles. Finding a platform that could deliver on the communication needs of the company, while partnering to refine the solution to meet the growing needs of the organization for years to come. The company’s challenge was to find a way to easily communicate 31 different company messages across their three facilities. Company culture is a critical component to Leland’s success as an organization, so they recognized the difficulty to reinforce company culture and to keep their employees engaged with the company direction and vision. ‘Inspiring the fundamentals’ are a daily part of their core messaging and DNA that they wanted to communicate to their employees. Building culture through powerful messaging such as “Bring it everyday” are the building blocks of Lelands. A 20-screen rollout with Lelands Industries leveraged the Skykit chrome-based digital signage CMS. 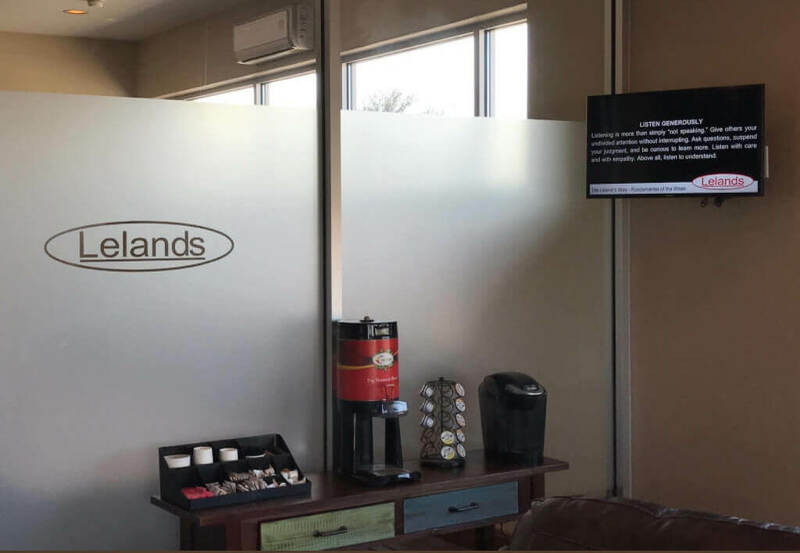 Lelands placed displays across their three facilities in predominant locations to ensure that they get the highest amount of impressions — such as the main lobby, accounting offices, and various departments throughout the office. Lelands chose Skykit because of how easy it is to use and deploy. All they needed was power and internet. The Chromeboxes came pre-programmed from Skykit. Lelands is extremely happy with Skykit and its friendly user interface. It ensures their employees are engaged with the company’s vision, which was historically difficult to do across multiple locations. Growth plans for the Leland digital signage network includes adding screens to showcase integrated dashboards now that the corporate culture communication issue has been solved.